LADY FINGERS: PATISSERIES DU MONDE. 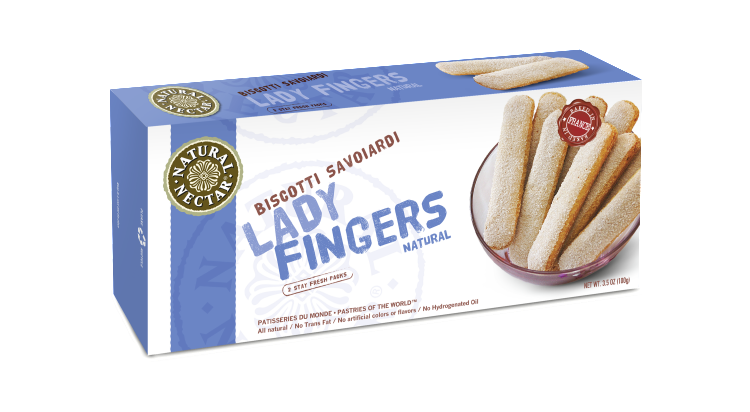 Natural Nectar Lady Fingers, known as Biscotti Savoiardi in Italy and Boudoirs in France, lend an international flavor to your dessert table. Our Lady Fingers are an essential ingredient in classic Italian Tiramisu and versatile enough to use as a sweetly delicate layer for other traditional desserts, such as a French Charlotte or an English Trifle. Perfect to dip into an aromatic cup of coffee, a flute of champagne, or as an elegant and crisp accompaniment to a fruit plate, Natural Nectar Lady Fingers add a note of sweet sophistication to any celebration.